Do Chinese greet each other like this? You have been taught from the very beginning to greet Chinese with “你好” (or “您好”) or “你好吗?” That was indeed the very first lesson I have taught my students. Students have always used these phrases to greet me too and I also go around greeting my students with this phrase. Now I think it is important for my students to know that Chinese don’t usually greet each other that way and there are more common ways Chinese people greet each other. Chinese may greet each other “你好” or “您好” when they first meet each other. But rarely would they greet their neighbors or friends or even acquaintances that way. Another common practice for Chinese to greet each other is by making comments on what they think you are about to do (based on what you wear) . “上哪儿去？ 要去做运动啦？”（Where are you going? Are you going to do some exercise?) “去上学啦？”（Going to school now?) ”上班去啦？” (Going to work now?) These are not real questions and do not require any real answers other than “嗯”　（uh…) You may add, “快迟到了！＂（I am running late!) to carry on the conversation a little bit. They may also comment on how you look. Your good friend may joke with you and say, ”你今天看起来特别漂亮。穿这么漂亮，要去跟男朋友约会吗？” （You look especially pretty today. You are all dressed up so beautifully. Going on a date?”) You look great today! It used to be a compliment to say, “你胖了！”（You are gaining weight!) or people may show their concerns by saying, “你怎么瘦了？”（How come you are losing weight?!) However, with the popularity of fast food restaurants in China and Taiwan, people no longer like to hear that they are putting some pounds and begin to appreciate more if people notice they are losing weight instead. Back in the old days, people also love to greet each other with the expression:“你吃饱了没？” (Are you full yet?). But, because of increasing economic prosperity in Chinese societies, getting adequately fed is no longer a big concern, so people now don’t greet each other with that expression that much either. How people greet each other and engage in pleasantry changes with time. Learning what is culturally appropriate to say is important and people also need to note that some expressions that were used to be appropriate before may no longer be well received now or may even be outdated. This video sheds some light on various common expressions Chinese people may say to each other to start a conversation. However, I do feel that some expressions mentioned in the video may not be as commonly used now. It is, nonetheless, a video worth watching. You will gain some cultural insights! 最近忙吗？(zuìjìn máng ma?) = are you busy recently? 最近忙什么？(zuìjìn máng shénme)= what have you been up to recently? 爸妈身体好吗？(bà mā shēntǐ hǎo ma)= How are your parents’ health? 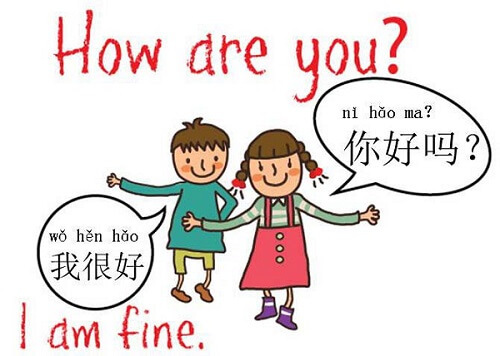 (你)怎么样 (nǐ zěnmeyàng)？= how are you doing?